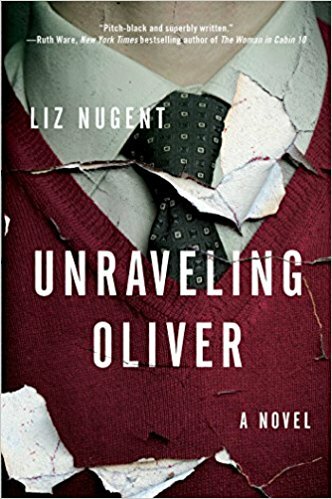 I’m so excited to share my interview with Liz Nugent, author of the psychological thriller, UNRAVELING OLIVER. The story delves into the life of a man, Oliver Ryan, whose blows one day send his wife into a coma. As the story unravels, we learn more about Oliver, and what could have turned a charming, seemingly ordinary man into a sociopath. Vilma: UNRAVELING OLIVER has been a #1 bestseller in Ireland and now it’s hitting shelves here in the U.S., which we’re all very excited about. Could you tell us what inspired the novel? 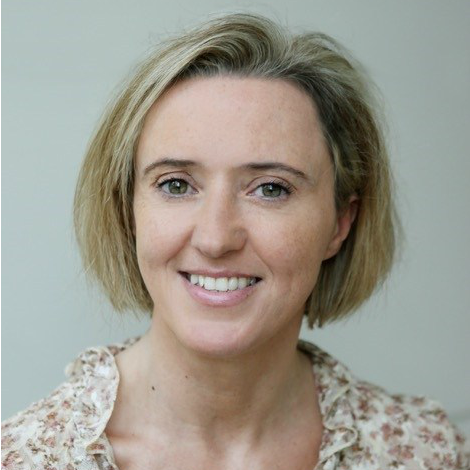 Liz: The story was inspired by two books I read around the same time: ‘The Book of Evidence’ by John Banville and ‘Engleby’ by Sebastian Faulks. Both books were written from the point of view of a male sociopath and I was really drawn in and fascinated by these characters. I decided that if I ever wrote a book, it would be about a deeply flawed man. Eventually, that’s exactly what I did. Vilma: Did you set out to explore the nature of evil? Tell us about Oliver, and perhaps a little more about the story for those who’ve not yet had a chance to read it. Liz: UNRAVELLING OLIVER tells the story of a man who beats his wife into a coma in the first chapter. He has never struck her before and the incident is a shock, even to him. Then I go back in time to detail the events that led up to this brutal act, through the eyes of Oliver and the friends and neighbors who think they know him. I prefer not to think that people are born evil so I gave Oliver a back story that might explain, but not condone, his behavior. Vilma: The novel is written from multiple perspectives. Is there a particular character you enjoyed writing the most? Liz: I loved writing Barney. We all know a Barney. Someone who is inherently good but just never gets the girl in the end because he puts her interests first. He has less education and therefore less confidence than all of the other characters but he is the most emotionally intelligent. I tried to give him a happy ending of sorts. Vilma: What are you hoping readers will take away from the reading experience? Liz: I guess it’s the idea that we can never really know another person no matter how long we have lived with them, or grown up with them. Your own mother has secrets that you will never know, though hopefully not deadly ones. Also, I examine the nature vs nurture argument but I want to leave it up to the reader to make the decision as to whether Oliver’s final act was well-motivated or not. Vilma: UNRAVELING OLIVER is your debut novel… what was the writing process like? Were there parts of the process that were particularly difficult as you laid out the narrative? Liz: It was a very stop-start process. I wrote the first chapter as a short story which got shortlisted for a competition. Then the characters I mentioned in that short story wouldn’t leave me alone and demanded to be heard, so I wrote another two chapters. Life got in the way with work and some new writing commissions and it was two years before I got back to the manuscript but in the intervening time I had some great experiences (staying in a chateau in the south of France) which I was able to use effectively in telling the story. I wasn’t thinking in terms of genre or readers, just mapping out the story that twisted and changed as I was writing. I am hopeless at structure so I learnt a lot about that from my editor. Vilma: What can you share about your next novel? Liz: I am currently working on my third novel! My second, LYING IN WAIT, will be published in the U.S. in May 2018. I can tell you that it is a dark and sinister story of murder, a mother’s manipulation, and the consequences for the family of the victim and perpetrator. Liz: Thank you for such insightful questions! I really hope you enjoy reading me.